We’d love your help. Let us know what’s wrong with this preview of The Haunted Tropics by Martin Munro. The book is a collection of new and unpublished ghost stories written by some of the most celebrated contemporary writers of the Caribbean. It’s the first collection of its kind, and drawing on the anglophone, francophone, and hispanophone islands, the volume will be a landmark publication in Caribbean writing. To ask other readers questions about The Haunted Tropics, please sign up. 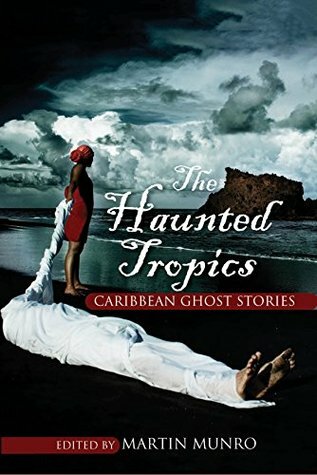 In the introduction to The Haunted Tropics: Caribbean Ghost Stories, editor Martin Munro says “every island of the Caribbean is the site of a deep haunting.” The anthology proves this point by offering a variety of stories which are at turns disturbing, creepy and sad. A languid feeling pervades the book, so don't read in one sitting. I believe its a great book with multiple short stories that highlight some of the differences in some Caribbean countries.